(SPOT.ph) To even the most casual viewer-slash-reader, Stephen King’s name is often synonymous to some of the most terrifying scenarios you could possibly think of. Take, for instance, his massive novel, It, which will immediately conjure nightmare-inducing imagery: A single red balloon, a yellow raincoat, and a killer clown lurking in the sewers. 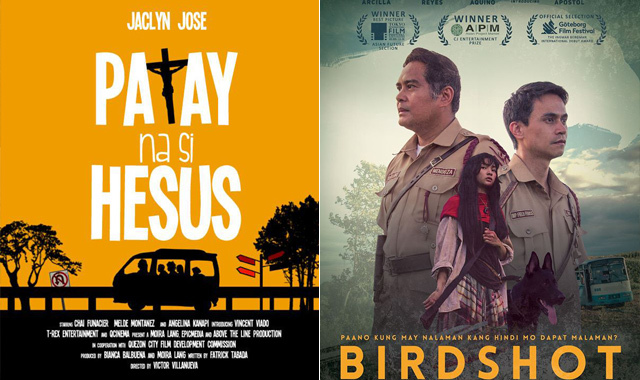 Thankfully, the 2017 adaptation goes beyond all that—a stark reminder that the real world is just as horrifying as the supernatural. Maybe even more so. At the center of the story is The Losers Club, a moniker that aptly describes its colorful group of outsiders on the brink of adolescence. 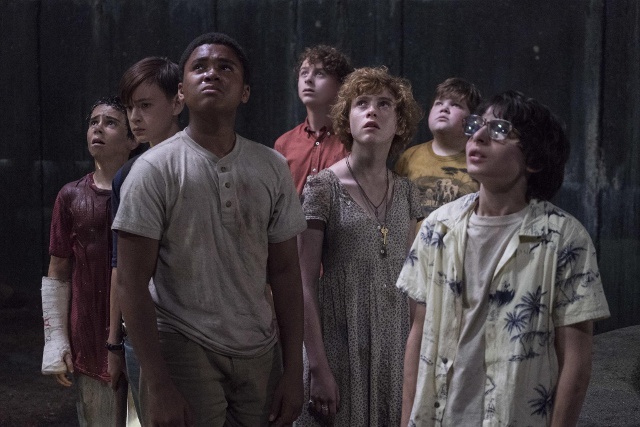 There’s Bill (Jaeden Lieberher), set on investigating the mysterious disappearance of his younger brother; Beverly (Sophia Lillis), a spunky and confident girl with a dark secret; Ben (Jeremy Ray Taylor), the shy new kid; Ritchie (Finn Wolfhard), whose profanity-laden quips provide some much-needed comedic relief; Stan (Wyatt Oleff), the group’s reluctant skeptic; Eddie (Jack Dylan Glazer), a hypochondriac-slash-mama’s boy; and finally, Mike (Chosen Jacobs), a homeschooled black kid. 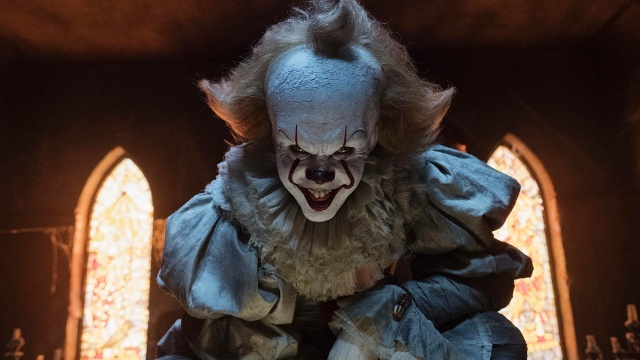 Together, they must face off against Pennywise (Bill Skarsgard), who wreaks havoc on their sleepy hometown every 27 years. 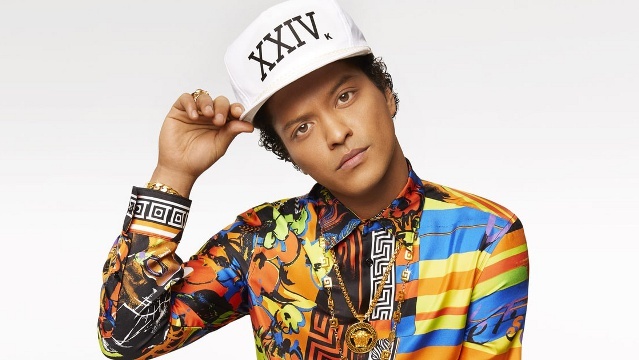 Folks who grew up with The Goonies or King’s Stand By Me will feel the tug of familiarity when the group’s dynamic unfolds. Their easy chemistry is palpable in every frame, further bolstered by some truly impressive acting from its child talents. Both Lieberher and Lillis are fantastic in what will likely be their breakout roles, but it’s Stranger Things’ Wolfhard who steals and owns the show whenever he rapidly unleashes one smart-mouth insult after another. It’s almost enough to overshadow the film’s titular evil entity. Skarsgard’s version might not cast as long a shadow as Tim Curry in the '90s miniseries, but he manages to elicit spine-chilling terror when aided by suspenseful and well-crafted hallucinated sequences. It might seem bewildering for audiences to see kids running around town without supervision, but this was 1989: strict parents were a rarity, cell phones didn’t exist, and the great outdoors was everyone’s playground. “But it’s summer,” they whine throughout the movie, until they realize that their problem is far bigger than just being unable to enjoy their vacation. It’s even bigger than It himself, who shapeshifts into what these kids fear the most. We quickly learn that It's different forms are manifestations of darker, more deep-seated evil that sees and exploits the fears deep within one's psyche. King is an author who has repeatedly used his novels to combine horror that entertains with horror that evokes the terrifying world we know today. We can all cower at surface-level scares, but it’s even more bone-chilling to see these kids haunted by real, everyday abuses of power and the unsurprising indifference that comes with it. 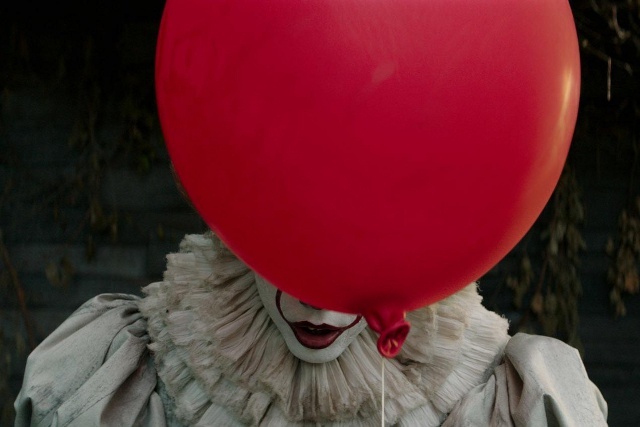 Jump scares can only take you so far—in this case, about halfway through when the creativity has waned and the movie has fully exhausted its audience with the characters’ individual hallucinations. 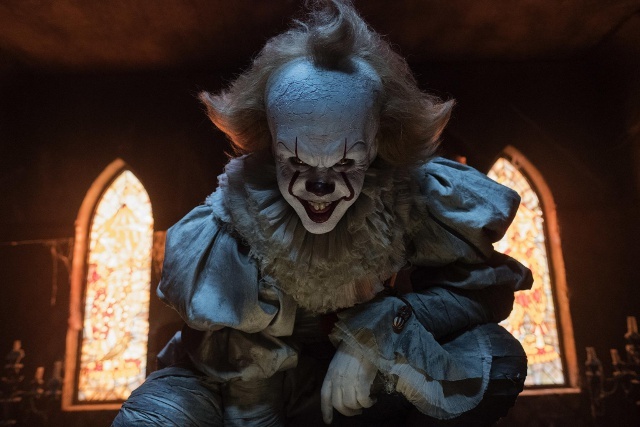 Director Andy Muschietti’s visuals are hair-raising when done right, but it’s the script (co-written by former director Cary Fukunaga) that really soars, blending sentimental nostalgia with coming-of-age woes and easy banter. The kids carry the film through and through, but the movie doesn't give Skarsgard much room to develop the story behind his sadistic persona, nor does it delve into the town’s murky history of violence and traumatic secrets. There’s a central mystery lurking beneath the surface and hopefully, it’s something the confirmed second film (and its older set of characters) will explore. It reawakens the childhood terrors of any kid who has had to sleep with the lights on, but older viewers will walk away pondering the real, unnerving fear that King so aptly expressed in his book: "Adults are the real monsters." It is rated R-13 and now showing in theaters nationwide. Photos courtesy of Warner Bros. Pictures.